We Gotta Worry ‘Bout Her! 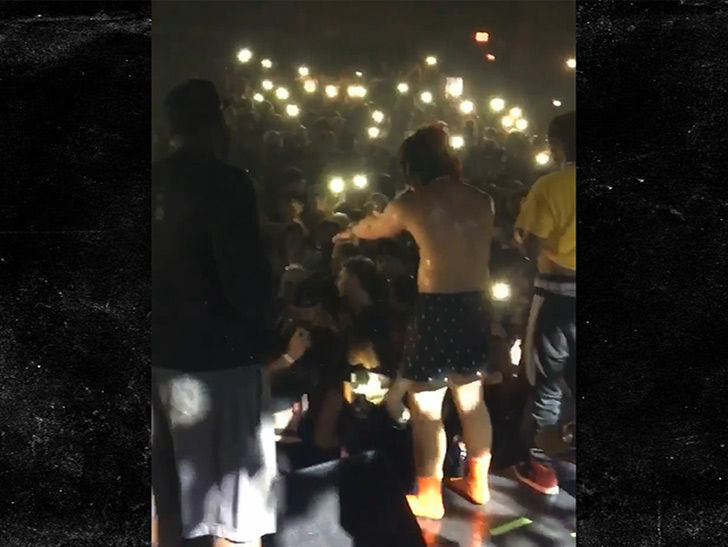 Trippie Redd put on his good Samaritan hat this weekend when a fan passed out at his concert, which he abruptly stopped to help the girl out. The Ohio rapper was performing in Minneapolis Saturday night when a female in the crowd collapsed. Eyewitnesses tell us Trippie noticed the commotion and quickly cut the music to figure out what had happened … and soon started demanding someone help her. It almost sounds like he’s chastising concert-goers for standing around — although, it’s unclear from the video who is (or isn’t) springing into action on the ground level. Either way, Trippie did his part. We’re told he threw a water bottle out to the girl, which she eventually drank after getting back to her feet … allowing the show to resume.